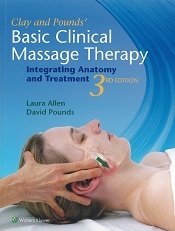 In this text, the basic techniques of clinical massage therapy are brought to life by embedding superb illustrations of internal structures directly into photographs of live models. This produces a stunningly realistic text that provides a general overview of individual muscles that are essential to understanding basic clinical massage therapy techniques. This exquisite resource is useful as a textbook of clinical massage and anatomy, as well as a practical muscle reference and patient communication tool that can be used in practice time and again.